SMARTY Trend head device overview for Ford Fiesta. Ford Fiesta is popular among car enthusiasts, especially in large cities. Small size, efficiency, modern design are its undoubted advantages. Unfortunately, the functionality of the car leaves much to be desired. Of course, you can always buy a car with a high configuration, but the question of the price will make you wonder whether it is advisable? SMARTY Trend will be happy to assist you with choosing a device for your car. Let's get together with you to get acquainted with the functionality that has become available. All regular recorders based on the Android operating system. This gives you tremendous opportunities that relate not only to the functionality, but also to the possibilities of individual settings that you can always change. This is one of the strongest advantages of this operating system, the powerful Allwinner T8 processor ensures productive operation of the head unit. 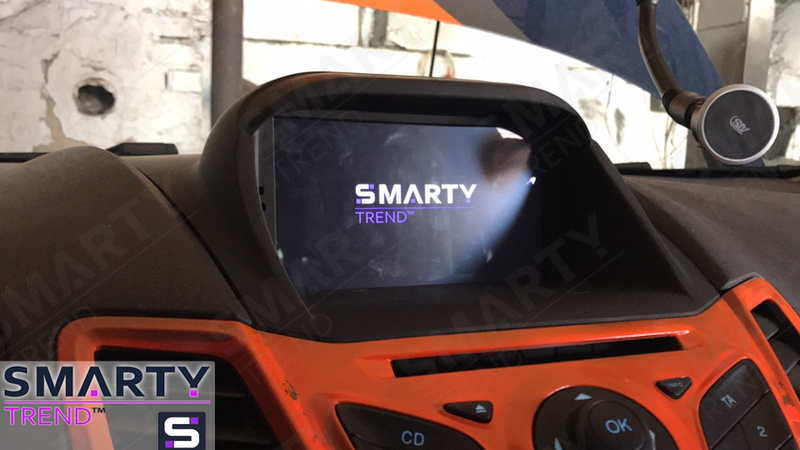 SMARTY Trend devices not only add functionality to your car, but also support all regular functions. Steering buttons are not excluded. There is no retail - these are digital buttons or analog. Their connection and configuration doesnt take much of your time. SMARTY Trend not only provides a wide range of full-time cameras, but also guarantees you full support for your full-time cameras. Driving safety is paramount, and using parking cameras will help you avoid minor incidents. An on-board computer requires OBD 2 adapter to install. This device allows you to read the basic characteristics of the engine, and eliminate minor software errors. Reading information occurs in real time. The necessary application you can find on the market of Google Play. This is very convenient if you consider the cost of your car in the service center. Changing the car is replaced not only by visual changes, no doubt, which can be noted. Particular attention should be look to the new functionality that is now available for your car. Full integration of devices, support of all regular functions of your car is a priority for SMARTY Trend. High build quality, excellent functionality, an individual approach for each client makes SMARTY Trend radio tape recorder a leader in the European market!